I'm gonna miss this old girl, but I think I'm ready for the new lights. You light players never cease to amaze me. I wish I was a natural scout player because I am missing out on alot of fun with some really nice light tanks. Scouting in the hardest thing to master in the game, in my mind. I'd love to get the RU, but man I haven't even played the Luchs yet. Well, if you need any advice I know a guy. It just kind of happened. I got to 1.8 million and WG started making noises that the T49 and company were coming out this week so I got busy trying to get 3 MOEs since I only had 2 and then boom 2 mil. This is just what I do for the hour or so between when I put the kids to bed and when I got to bed. WALKER BULLDOG, WALKER BULLDOG, WALKER BULLDOG, WALKER BULLDOG!!!! Hell yeah! 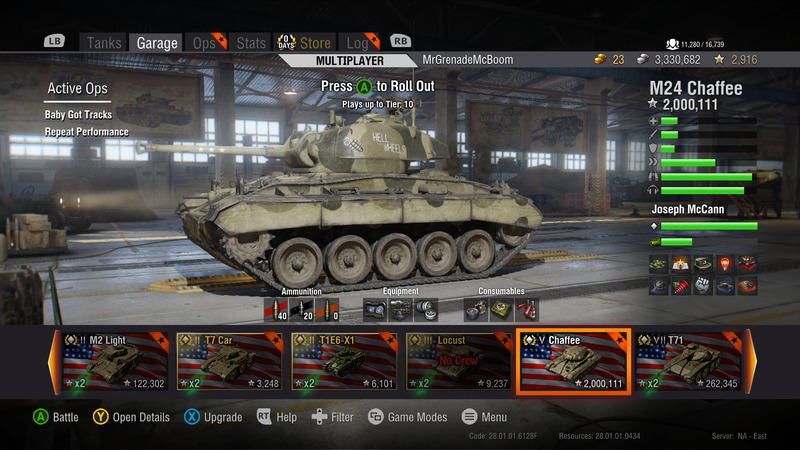 I'm also looking forward the to the derp chaffee (the T49) just for, well you know derping WTFe100s and Rhumbas every now and then. Its not time wasted if you're having fun. Game Community → English Speaking Community → Forum → General Discussion → Are MOE's broken?